Generously butter the inside of a 5-6 qt slowcooker, then line with a large piece (or a couple large pieces) of aluminum foil. Generously butter the foil. Turn the slow cooker on low, or the 8 hours mark. Sprinkle in the bottom cubed butter, brown sugar and 1/4 cup granulated sugar. Place pears cut-side down evenly on top of the butter and sugar. 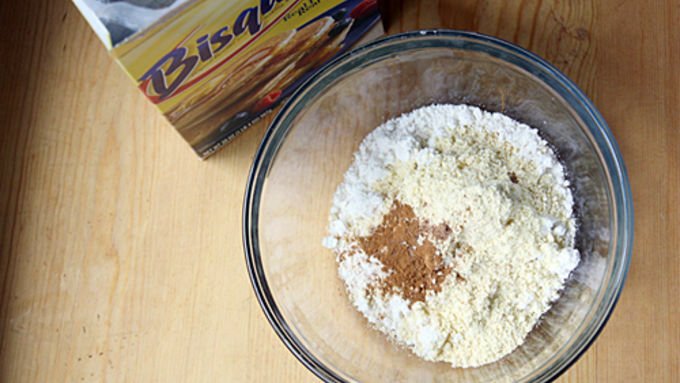 In a large bowl, whisk together Bisquick™, cornmeal, cinnamon and nutmeg. Set aside. In the bowl of a stand mixer, combine remaining softened butter and sugar. Increase speed to high and beat thoroughly. Add eggs one at a time and beat until well combined. Add vanilla. Add milk and dry ingredients and stir on low speed to combine. Increase to medium speed and mix until the batter is free of lumps. 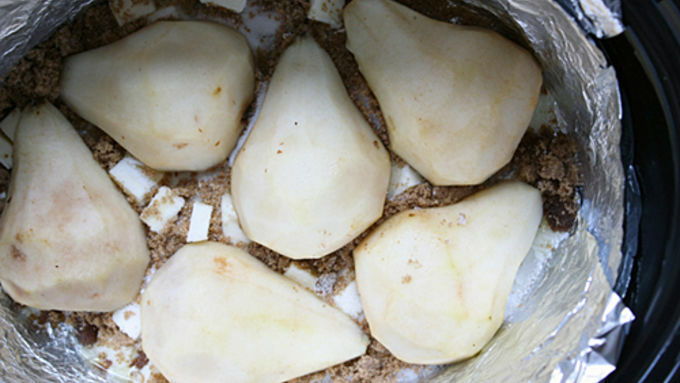 Pour the batter over the pears in the slow cooker and spread evenly. Cover top of slow cooker with a paper towel, then with the slow cooker cover, and let cook for about 3 hours, or until edges of cake are a dark brown. Turn off slow cooker and let cake rest for 20 minutes. 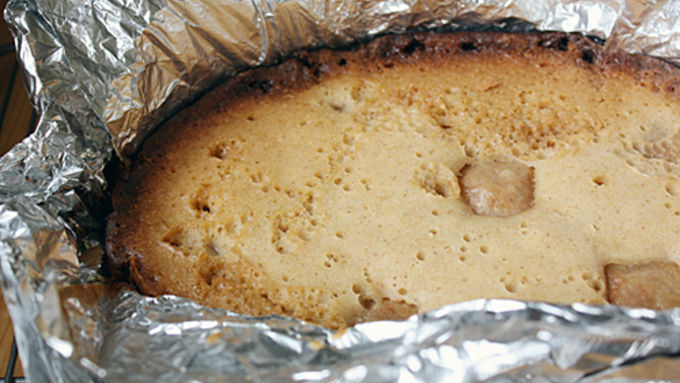 Carefully remove the cake by lifting the foil and place on a cooling rack, still in foil, until cooled completely. Carefully remove foil from cake and serve. If there's one kitchen invention I could never do without, it's the slow cooker. Never mind immersion blenders and sliced bread: The slow cooker is where it’s at when it comes to easy gourmet meals where most of the time is spent…well, not cooking! If that’s not the closest thing to paradise, I don’t know what is. 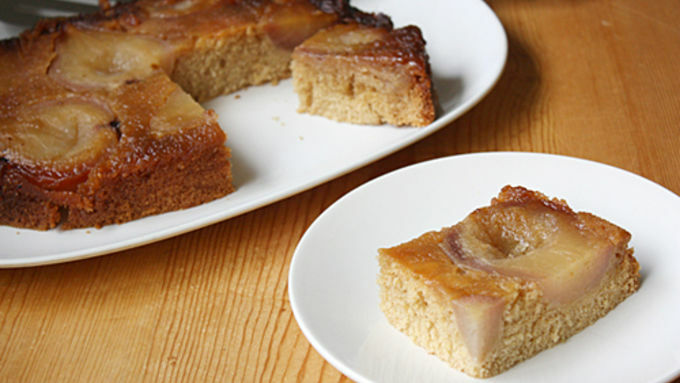 On second thought, maybe this Slow Cooker Pear-Vanilla Cake is. The second closest thing is the slow cooker in which you make it. I know that in most cases, cake can be made in the oven in a much shorter time span than in a slow cooker. But the difference between most cakes and this one is that because it’s baked low and slow, the flavors have more time to mix and mingle and make a delicious, dynamic taste. It’s like the difference between meat that’s been cooked on the stovetop versus over the course of a few hours in an oven, leaving it even more tender and juicy. There is just no comparison. I really like the “upside-down” aspect of this cake. 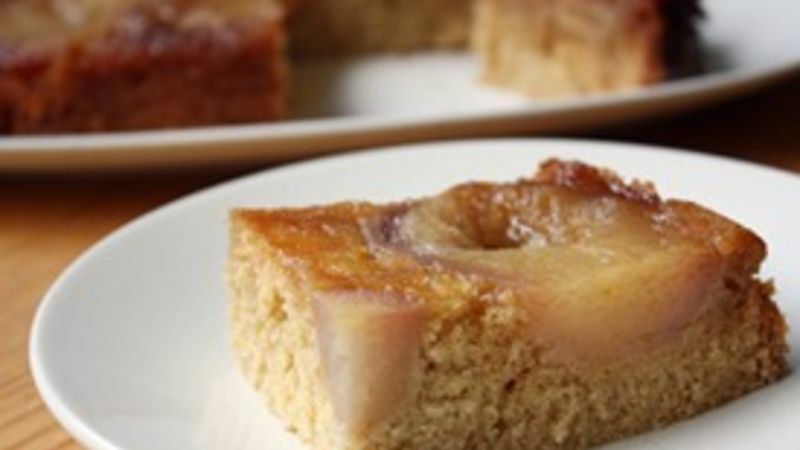 Because the butter, sugar and pears are left at the bottom of the slow cooker to bubble and brown and soak together, once the cake has cooled, all of those gooey, delicious ingredients harden slightly and become a caramelized wonder that, once inverted, serves as the topping of your cake. The bottom (which is also the last ingredient added to the mix) is left spongy and moist. A word of caution: Be sure to generously – and I mean generously – butter the foil that will line the slow cooker. Otherwise, you might end up with burnt edges that struggle to pull away from the foil (like I have many times). No worries, though, if you do – the cake will still be tasty. Also try your best not to peek under the cover while it’s baking, as each peek takes away a good amount of heat and steam that is baking the cake. Patience is a highly valued virtue when making this cake. But trust me – once you take a bite of that warm pear and vanilla-y goodness, you’ll know it was worth the wait! Slow cook your way through these decadent dessert recipes.